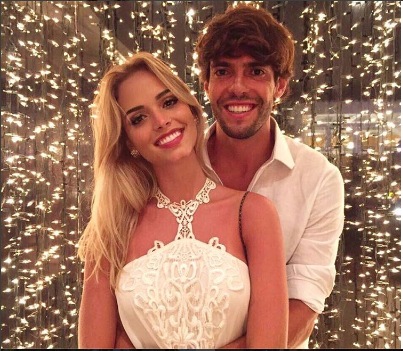 After divorcing his childhood sweetheart Caroline Celico, former AC Milan midfielder Kaka is now dating Brazilian model Carolina Dias. Kaka and Celico who have two children together announced their divorce in 2015 after 10 years of marriage. The Orlando City midfielder has now confirmed that he is dating Brazilian model Dias with a photo he shared on his Instagram. The relationship has been speculated in the Brazilian media since but that photo is a confirmation. The one-time Ballon d’Or winner shared another photo of him and Dias atop a mountain; “Up here!” he caption it. Kaka is enjoying life with Orlando City in the MLS, making the MLS All-Star team last season after scoring nine goals and adding ten assists in 24 matches.